If you still have some cabbage sitting around after St. Patrick’s Day, you might want to try making Venetian cabbage. This Italian-inspired recipe really elevates the humble cabbage. I love cabbage in all sorts of dishes. 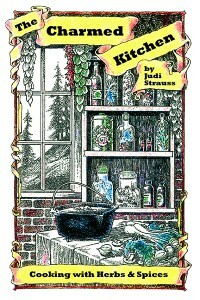 Maybe it’s from my Eastern European roots, but I like cabbage in salads, soups and side dishes. I really love it prepared this way. Smokiness from the pancetta and a hint of rosemary and garlic really makes this dish sing. We made it in class last night- and everyone loved it. We ended up cooking it for less time than the original recipes says. I think I prefer it less cooked. The cabbage retained some crispness. My best advice is to taste this dish as it cooks to see how “done” you like it. 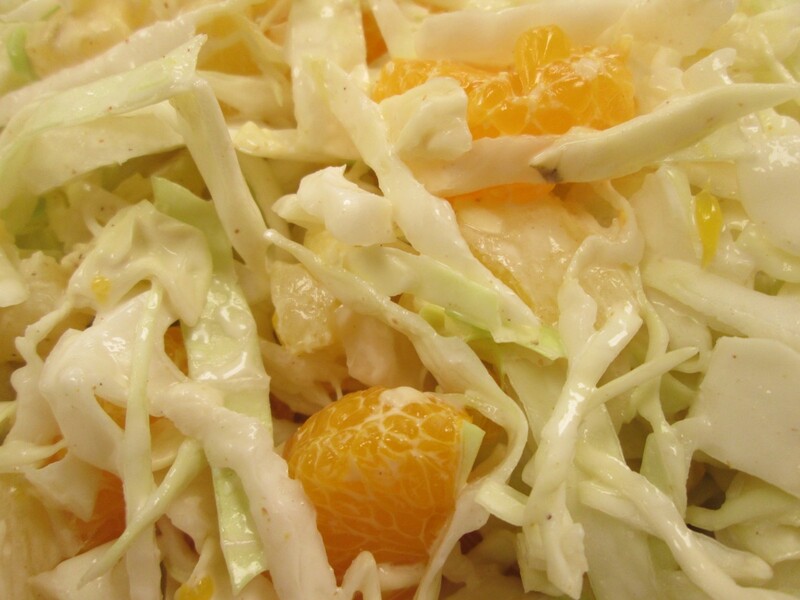 If you are looking for an easy and tasty way to prepare cabbage, try this recipe for Venetian Cabbage. I think you will be pleased. Cook bacon, garlic and rosemary and oil in saucepan until mixture starts to sizzle. Stir in the cabbage, tossing to coat well. Cook, covered, over low heat for an hour, or less, adding the stock or wine a little at a time. Add salt to taste before serving. Serves 6. I think cabbage is underrated. 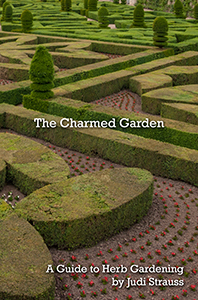 It is such a versatile vegetable. Cabbage is good in both hot and cold dishes, it isn’t expensive, and cabbage is good for you. I was looking for a side dish for a duck dinner the other night and I decided to start with cabbage. Since I had a pretty good sized head of green cabbage and just a small piece of red cabbage, I mixed the two together. I added cider vinegar, sugar and seasonings. Then I added apples to round out the dish. It had a sweet and sour flavor that went well with the duck. I’d also serve this as a side dish with ham, pork or even a lamb roast. It would go well with any of them. You could use any color cabbage for this dish- or combine colors, as I did. Perfect for a Fall dinner. Heat oil in skillet and cook onion until tender and a little wilted. 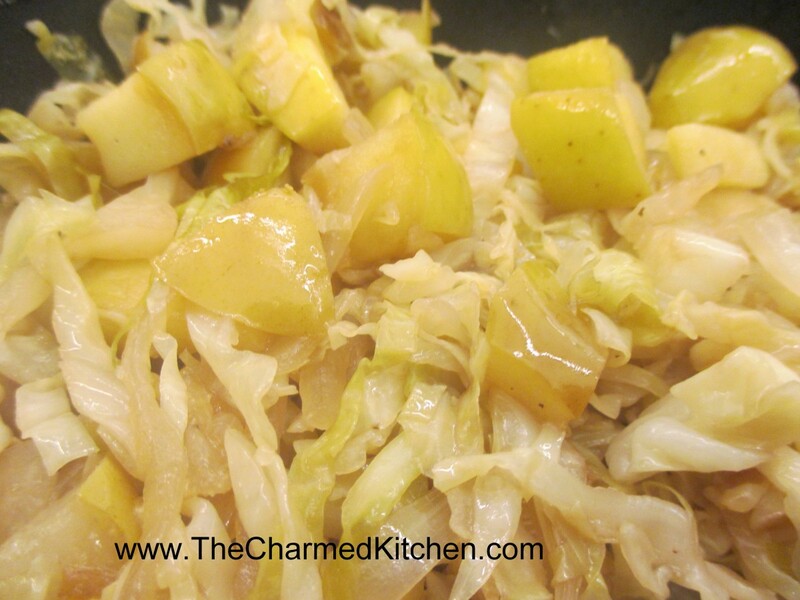 Add cabbage, stock, vinegar, sugar and celery seeds and cook until cabbage is tender. Most of the liquid will evaporate. Add the apples and cook until apples are just heated through. Season with salt and hot sauce and serve. Serves 5-6. I think cabbage is under rated. It is such a versatile vegetable. 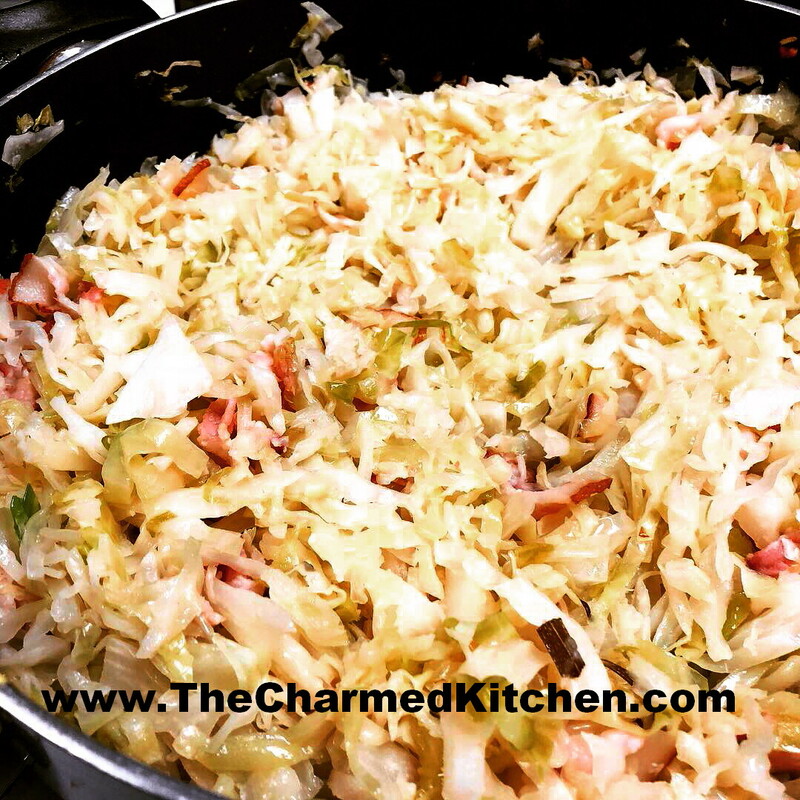 It’s good in both hot and cold dishes, it isn’t expensive and cabbage is good for you. 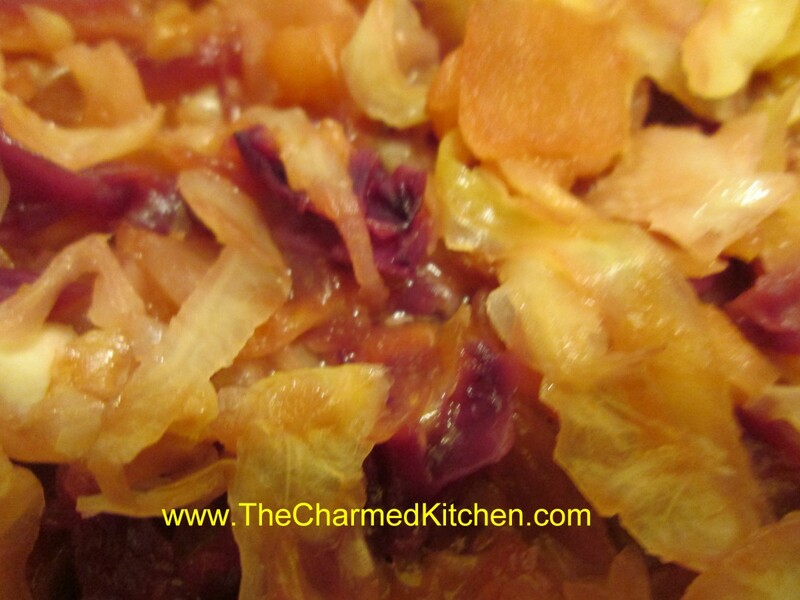 I was looking for a side dish for a duck dinner with friends the other night and I decided on sweet and sour cabbage. Since I had a pretty good sized head of green cabbage and just a small piece of red cabbage I mixed the two together. I added cider vinegar, sugar and apples to round out the dish. It came out this pretty light pink color and had a flavor that went well with the duck. I’d also serve this as a side dish with ham, pork or even a lamb roast. It would go well with any of them. You could use any color cabbage for this dish- or combine colors, as I did. I love cabbage in all sorts of dishes. 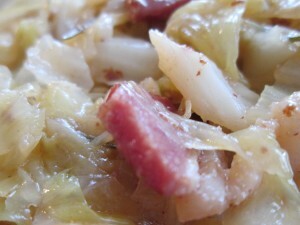 Maybe it’s from my Eastern European roots but I like cabbage in salads, soups and side dishes. I really love it prepared this way. Smokiness from the bacon and a hint of rosemary and garlic. 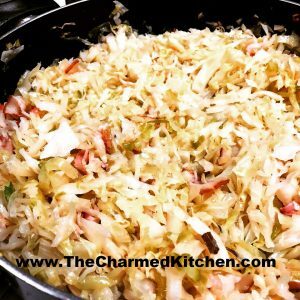 If you are looking for an easy and tasty way to prepare cabbage try this recipe for Venetian Cabbage. I think you will be pleased. Cook bacon, garlic and rosemary and oil in saucepan until mixture starts to sizzle. Stir in the cabbage, tossing to coat well. Cook, covered, over low heat for an hour adding the stock or wine a little at a time. Add salt to taste before serving. Serves 6.